the Transcontinental Railroad crossed here. First known sail launch to ascend San Joaquin River from San Francisco landed here autumn, 1846. It carried 20 Mormon pioneers who founded New Hope Agricultural Project on Stanislaus. A yoke of oxen and span of mules were driven from Marsh's Landing (Antioch) by two men who followed a crude map drawn by Merritt the trapper. 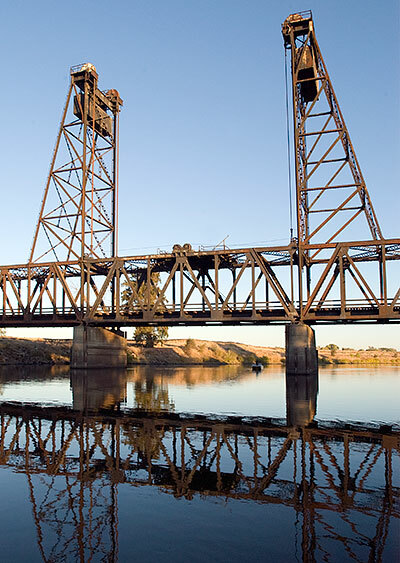 Two years later Doak and Bonsell operated here the first ferry on San Joaquin River. 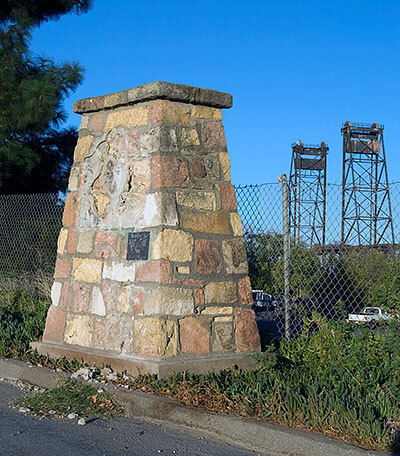 This plaque, along with a plaque for the Transcontinental Railroad, was in place as recently as 25 October 2006 when it was photographed for Waymarking.com.